Of course, the best way to do well on an exam is to work all year or semester to master the material. By being prepared for class, taking good notes, and regularly reviewing the material, you’ll ensure you won’t have to cram everything just before the exam. Learning the material in increments is the best way to study. Ideally, the time right before exams should be used to review everything you’ve learned and to go back over concepts you’ve had difficulty with or don’t remember as well. It should not be the time to start learning the course material. In the weeks that approach exam time, planning and organizing your time will reduce stress and maximize the time you have to study. Time management is the best way to avoid procrastination and all-night cramming. Make a calendar of your exam schedule and map out when and where would be the best time to study for each exam. If you prefer to study in a group, talk with your classmates ahead of time to best plan your study sessions around each other’s schedules. If you want to have a quiet space to study, consider reserving a space at your library in advance. Try to give yourself enough time to review for each exam, and consider which classes have been giving you the most trouble – you might want to have extra time to review for those. Your time isn’t all you should organize. Make sure you have all the materials you need to make the best of your study time. 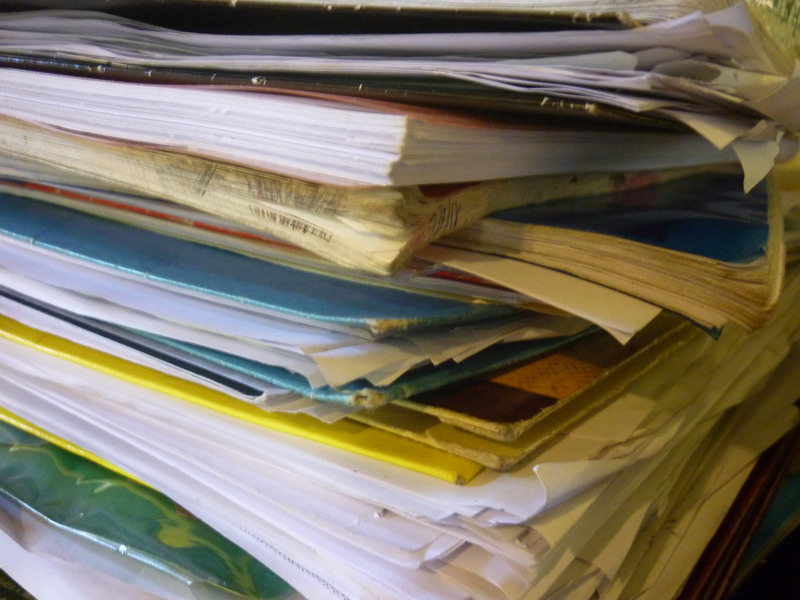 Keeping your notes organized throughout the semester will save a lot of valuable study time. If you plan on purchasing review books or practice materials, do so in advance as it becomes more difficult to find them during exam time. Having review materials in advance will prompt you to study in advance, and sometimes getting these materials in the beginning of the course can help you prepare more throughout the semester. Trying to put together and remember months of information can be overwhelming. Breaking down the information into larger concepts ideas and then narrowing in on the details is the best way to pull together and synthesize everything you have learned. When reviewing your notes, create an outline of the material. If you are a visual person, create graphic organizers, drawings or flow charts to reorganize your thoughts. Condense each chapter, or (if possible) the entire curriculum, onto one page by naming topics, concepts, or events. Include key dates, formulas, and vocabulary on your study sheet. Group common ideas together or color code your review sheet to help you remember the ideas. Once you have outlined and reviewed all your notes, go back to your outline and star or highlight difficult or important concepts that you need to review again in detail. This exercise helps you synthesize the information and makes it more accessible by laying it all out on one page. If you really take your time with this, usually just reorganizing the information can help you to remember it. You may find you won’t have to review your entire outline, but only need to go back over those concepts you identified as needing extra attention. Another way to review information is to self-test. Look for practice questions in textbooks, review books, or homework problem sets. The Internet is overflowing with practice questions, sample exams, and online flashcards to test your knowledge. You could also try writing questions for yourself as you read through your notes. Ask someone to quiz you on the information if you are studying with others. Making flashcards or using flashcard apps like Quizlet.com are other ways to test your knowledge. Studying with groups can also be helpful. This gives you the opportunity to ask for help from your peers. In addition, often the best way to retain information is by teaching it to someone else. Recalling the information, organizing your thoughts, and verbalizing it is the best ways to memorize something. If you prefer to study alone, you should still try this exercise of retelling the information in your own words by grabbing a sibling, friend, or relative to pretend to be your student. Don’t be afraid to try talking to yourself while studying, though you may want to avoid being around other people for this one. There is no one definitive way to study, but hopefully some of these tips give you some ideas on how you can approach your next exam. You alone know how you learn best, so try out different ways of studying until you find what combination of review techniques works best for you. Exam time can be an overwhelming and stressful time. Creating schedules and managing your is one way to cut down stress. Shut off phones and social media to help you focus. There are several apps that you can add to turn off distractions on your computer or phone. When you know your game plan ahead of time, studying becomes less overwhelming. If you’re having difficulty with something, step back and focus on something else or take a break. Exercise can help to reduce stress and clear your head. Eating a healthy and well balanced diet will keep you energized and help you focus. Listening to music or talking to someone about your stress can help you cope with stress. Most importantly, avoid comparing yourself to others. Focus on what you need to do to do your best. After all your hard work studying, the day of the exam will finally come, and hopefully you feel confident and prepared. Familiarize yourself with the testing location beforehand if it is not at your school, and give yourself extra time to get there. The night before, check what materials you may need and have these ready ahead of time. Set your alarm, or perhaps multiple. Get a good night’s sleep and eat a good breakfast. Hydration is also important and can improve your testing performance. Trying to cram and review right before an exam will only cause you more anxiety and cause you to forget things. Sometimes you have to accept that you have done everything you could to prepare yourself, and hopefully you will feel confident entering the exam. Best of luck!